There are lots of websites that specialise in selling British made stuff, and more seem to be cropping up each and every day. It is clear that the quality of some of these sites differs wildly so we have decided to review some of the best. Strap yourself in, here we go! I remember sitting around my dinning room table with the couple that set up MadeCloser when it was still in it’s concept stage. At the time the project seemed exciting but we struggled to see how we could help them. I have kept an eye on their progress since. If you are looking for a British Amazon equivalent then MadeCloser is definitely head and shoulders above the rest. The ethos of MadeCloser is about supporting local producers with ethical buying at it’s core. They are the only such site to have persuaded some really big name manufacturers to be involved and as such have a really good range of products stocked, everything from stationary to televisions. FromBritainWithLove pitches itself neatly to the design-lead life style market. There is a great selection of quality made home-wares, clothing and gift-wares complete with wonderful photography and descriptions making for a simple and pleasurable shopping experience. Another great thing about this site is the gifts functionality which genuinely helps you to find inspiration for even the most difficult to buy for (even MrB). A nice looking and very professionally feeling site but with a limited and often quirky stock. That being said there are some things on this site that you might never find anywhere else (Islay made fire bellows or leopard print storage trunk anyone?). BrilliantlyBritish are the new kids on the block having just launched last week. They are entering an already crowded marketplace and have an uphill struggle to catch up with some of the more established sites. As you might expect for a new venture they currently have a limited stock and you will find many links showing ‘no products’. As such it might be a little unfair to review them too harshly at this point. Vinnie&D have a great selection of arts and crafts based goods. They certainly have a design-lead approach to their selection of products and there is a more handmade feel to much of their stock. 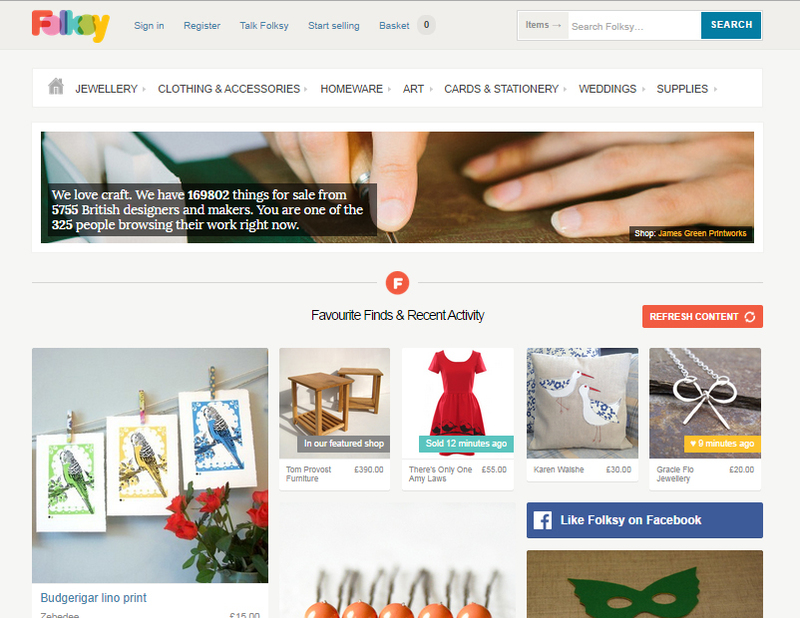 Folksy is the big name in British craft trading. I personally love the site and buy quite a bit from it. With nearly 6000 makers/sellers there are plenty of products listed so it can often be difficult to trawl through it all. 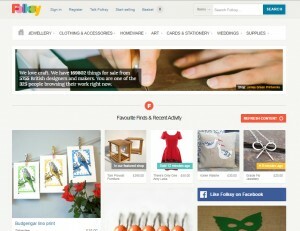 While not as well known as Etsy this British alternative is truly fantastic. A visually awful and clumsy site with a terrible domain name but actually has some pretty interesting things listed and a good range of products. Some really nice handmade products are listed but I find it quite hard to find anything and the site is a little clumsy and glitchy. The interesting thing about this online marketplace is that they also have 2 ‘real-life’ shops in London. Thank you for this most useful resource. Perhaps ‘Not on the Highstreet’ is worth a mention. Not exclusively British made products but easy to search for British made. Have used it many times to buy British made gifts. How about British Gifts Online, our USP from the start in 2010 is to sell quality gifts made in Britain. Please take a look and see what you think. We will check it out. Keep up the good work! Please accept my thanks and gratitude for the work being done on this site. I and my wife are of an age to know how important it is that we do not simply surrender our selves to the mercy of foreign manufacturers. We have been trying in-vane I must say, to buy a British made kettle, every one we looked at was made in China, with both Russell-Hobbs and Morphy Richards singing the praises of the Chinese. It make our blood boil. So please, keep up the good work. Thanks for your very kind words Phil. As for a British made kettle – I must admit that we cannot help. I am not sure of anyone making them in the UK. Very sad indeed.